Thursday, April 18 at 7 pm in the Sanctuary you are invited to observe Holy Thursday by worship “In the Garden” and in prayer with Christ. On the last night of Jesus’ life, he shared a Passover meal with his disciples. Then he went into the Garden of Gethsemane with Peter, James, and John where he faced the reality of his upcoming suffering and the temptation to flee from it. 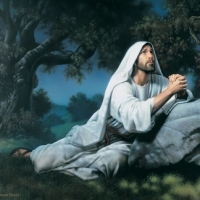 He asked the disciples if they would stay awake with him and join their prayers with his. Prayer stations created by the laity of King Avenue will draw us into praying for the healing and transformation of the world Christ died to save. Your prayers and presence are needed.